At Beaufils Dental, we make sure to put the oral health of our patients above all else. We achieve this through the help of our experienced and welcoming staff who provide high quality customer service in Cooper City. Our services are backed by the use of state of the art technology and the latest advances in dentistry. We are not just looking for new patients; we believe that, by focusing on creating long lasting relationships with our clients, we can become the go-to dentist for their family. Our office is one of four in Broward County that is equipped with a 3D i-CAT Scan which allows for a better and clearer 3D image of a patient’s mouth. This modern and highly accurate approach to dental examination eliminates any guess work, allowing for a safer and more efficient dental experience. 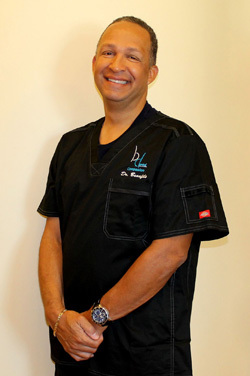 Our office is headed by Dr. Lloyd E. Beaufils, DDS, MPH, FICOI. Dr. Beaufils earned his Doctor of Dental Surgery and Master of Public Health from Emory University, Atlanta, Georgia in 1988. Prior to studying at Emory School of Dentistry, he earned his Bachelor of Science from Eckerd College, St. Petersburg, Florida. Dr. Beaufils completed the dental residency program in 1989 at Mount Sinai Medical Center in Miami Beach, FL. Dr. Beaufils has been practicing for over 24 years and, since the very beginning of his dentistry practice, has remained up-to-date on many continuing educational classes–all to ensure that his patients receive the most comprehensive and advanced dental care. He also speaks Spanish, English, Creole and French. Delivering high quality, compassionate dental care cannot be achieved without the help of our dedicated team of professionals. Every member of our team is responsible for the success of our performance, tirelessly working towards providing dental care that our clients can appreciate and trust.